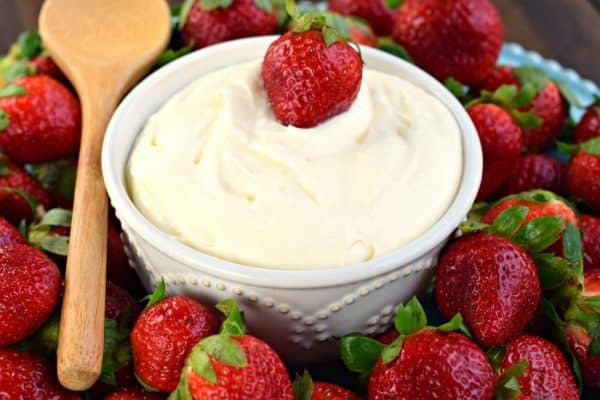 Three ingredient Cream Cheese Fruit Dip! A sweet treat to serve with berries and apples! 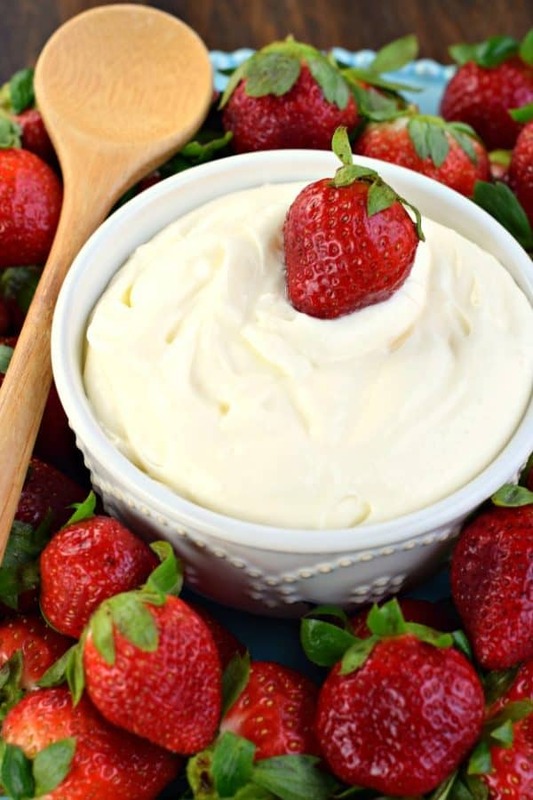 This first time I tried this Cream Cheese Fruit Dip I was working as a nurse back in 1996. I was in the break room and one of my coworkers had brought in this dip for a treat, and I was thrilled. I was about 6 months pregnant and I craved fruit. I also craved gyros, cheese fries and root beer floats…but for now, this story is about strawberries, LOL!!! I spent more time in the break room that day, than ever, because I couldn’t get enough of this dip! To me, it tasted similar to the kind you buy in the refrigerated produce section of the grocery store! When my coworker told me it was THREE ingredients, I was hooked. 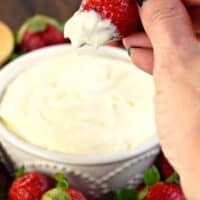 Over the years I have made this dip numerous times! And, the rum is truly the secret ingredient! If you prefer, you can use Rum Flavoring (I get it on Amazon), and it’s just as tasty (without the alcohol)! 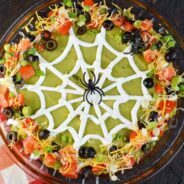 This is a great option if you are the one they normally ask to bring the veggie tray or fruit salad (the one the family assumes can’t cook or who is too busy). Serve this with some berries, grapes, sliced pineapple, kiwi, apples…so many options. In a mixing bowl, blend everything until creamy. This will take about 3-5 minutes until light and fluffy. Pour into a bowl and keep refrigerated until ready to serve. Serve with berries, apple slices, pineapple, pretzels, etc. Hey.. great minds think alike! 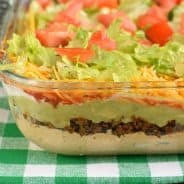 I’ve been making this Dip for years too and I love it! Great post ???? Certainly gonna try this!! sounds too easy and good!! Gotta try this…Sounds sooo good!! OH… I’ve made this for years but never added rum flavor… now I have to try it !! Oooh I’ve seen a lot of fruit dips out there, but not many that involve rum!! Love this one! My sister used to make this dip, but the addition of rum seems even better! What a fun change of pace for the Big Game! I’m going to try a little maple syrup and let the kiddos take this one for a test drive! Sounds great..Any other suggestions instead of Rum or maple syrup? Almond extract is delicious…or just pure vanilla extract is wonderful too!! We love this dip with rum and coconut extract! It’s so good with everything!!!! Oooh I bet the coconut is good (although most of my family hates the flavor of coconut.) I don’t understand it…. I am totally loving the rum in this!! Never had that way and now I need to try it immediately!! YUM! My recipe is similar, we add a dollop of cool whip and a little marchino cherry juice for color! Yummy! Great on top of your favorite brownie and piled with raspberries, bluberries and strawberrys! Alwats a big hit! Berries on the top of the Cream. Yummy! 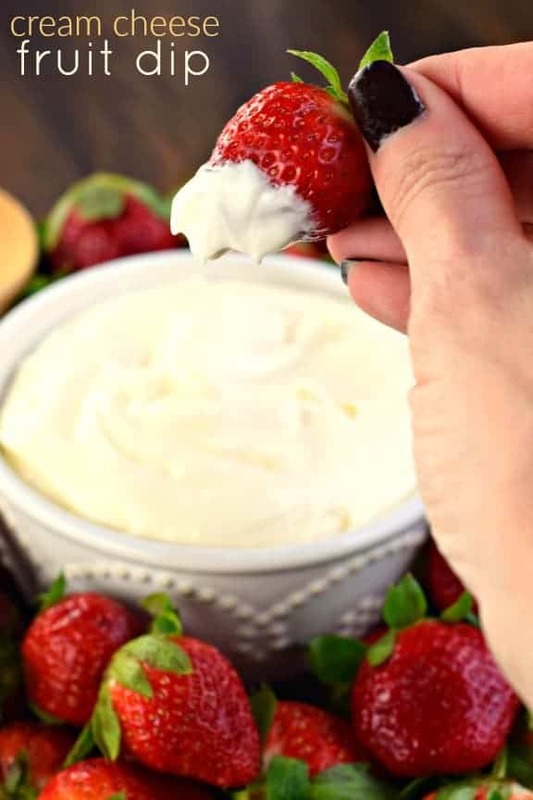 Can’t wait to try this Cream Cheese Fruit Dip. 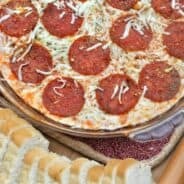 Keep posting more recipes. BTW, your Instagram account makes fee fell hungry 🙂 Big Fan of sweets. Sounds great. Now I have to try it. Thanks for sharing. I put about 3 Tablespoons of pineapple juice in it, ssoooo good….will have to try the rum too…. My wife used to make this dip, but the addition of rum seems even better. Thank you for the recipe. Very very beautiful. I’m gonna try this today. SImply amazing use of strawberry. This fruit dip never last to long here. It’s so good everyone eats it all so fast! I love a good dip recipe. I can’t wait to make this one. Love that this is enjoyable to snack on any time of day!